Whitey's Chili offers premium chili with a rich gourmet taste. Whitey's Chili is the #1 premium, value-added chili in foodservice today! Chili has been warming the hearts and souls of Americans for decades and remains a staple on dinner tables all across the United States. For Northeast Ohioans, Whitey’s Chili is their go-to brand and the ultimate definition of comfort food. 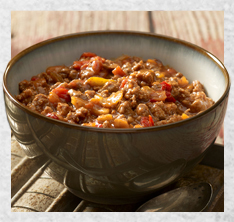 With humble beginnings as a family recipe, this hearty chili boasts a gourmet flavor of the perfect blend of seasonings and garden vegetables, giving it a “just like mom’s” taste and appearance. 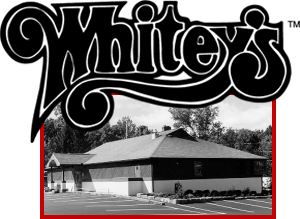 Whitey’s Chili was once exclusively served at a local watering hole just outside of Cleveland, Ohio and coined after the owner, who was known as “Whitey” by all the regulars. His famous recipe has since grown to become a national sensation, craved not only by Clevelanders but also by chili fanatics from coast to coast. Whitey’s Booze N’ Burgers has truly withstood the test of time, dishing up mouthwatering burgers, classic cocktails and good times since 1953. Whether you stop by to enjoy a cold beer and a juicy burger or a bowl of our famous chili, Whitey’s never disappoints. 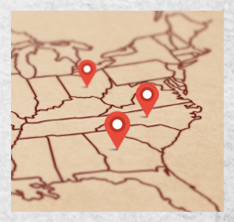 It’s a great place to catch up with old friends, cheer on your favorite Cleveland team or join in on a volleyball game. Conveniently located between Cleveland and Akron, local patrons and visitors have been coming to Whitey’s for decades to get their comfort food fix. In 1974, The Richfield Coliseum was built to be a Northeast Ohio sports and entertainment mecca, which helped to drum up new customers for the local tavern. Then from 1974-1994, The Cleveland Cavaliers, 2016 NBA World Champions, made The Coliseum their home and Whitey’s was on the map!